Years ago, scientists at Harvard University observed that some children who ate popsicles got dimples in their cheeks. The scientists—Dieter Manstein, MD and R. Rox Anderson, MD— realized that the popsicles were freezing and eliminating small pockets of fat cells. The idea that cold can target fat cells—without damaging the skin or surrounding tissue— was the insight behind cryolipolysis,the proven science on which the CoolSculpting procedure is based. 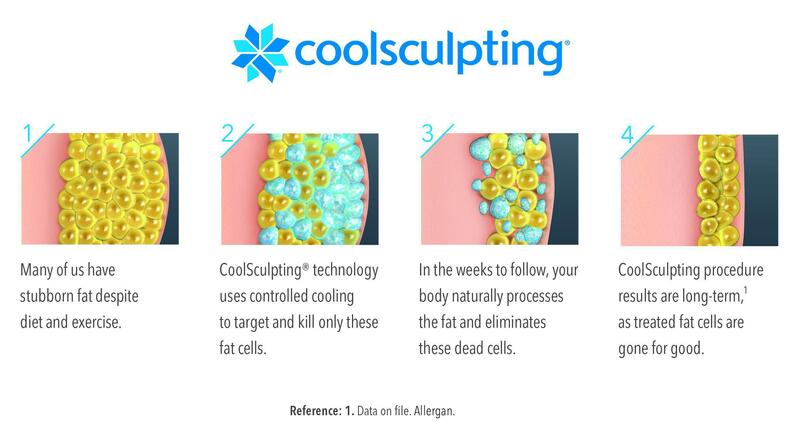 Fat cells that are frozen during the CoolSculpting procedure gradually die off and leave the body through the body’s natural elimination process. That’s why results are long-term. Untreated areas will have no change in fat cells.